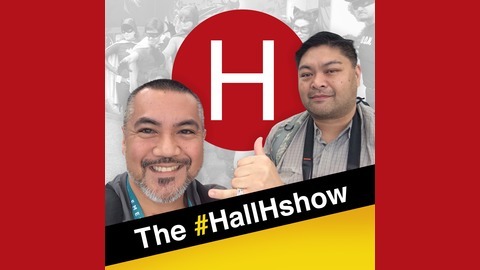 Hall H Show hosts Aaron Nabus and Alex Benedicto put the spotlight on pop culture / comic book artists, writers and other creatives – especially in artist alley at various conventions. They have built a reputation as a voice for independent creators and emerging talent. See you in Artist Alley! 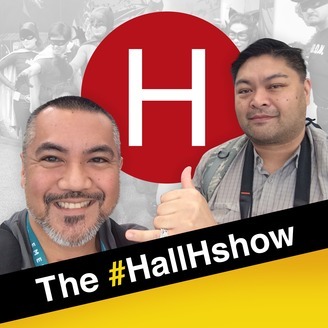 #HallHshow. At WonderCon 2019, I was originally supposed to talk with my good friend and multiple guest of the show, screenwriter and comic book creator, Rylend Grant to talk about the second arc of his current comic book, Aberrant and his new one, called Banjax, both of which are published by Action Lab. It was a welcome surprise to see Steven Prince, the writer, artist and creator of Rylend’s favorite comic book, Monster Matador, show up to the podcast too with Rylend! Turns out, they collaborated on something called Tales From the World of Monster Matador. It was an interesting conversation, hearing about how Steven is more of an improvisational writer whereas Rylend is more structured, but they were still able to find a unified voice.